We had a new family move into our neighborhood last week. They are super cute! They have two kids and one one the way very soon. There kids are the same age as ours which is so fun! Speaking from experience, I know it is so hard to move with little ones and being pregnant just adds to the stress level. Also, when we moved into the neighborhood a year ago a lot of the neighbors brought us house warming sweets and other goodies and I thought it was so thoughtful I have been waiting for the opportunity to do it for someone else. I decided on banana muffins because they are my kids favorite. I think I have kind of perfected the recipe. Today I made a double batch. When I popped them in the oven I realized that I completely skipped the sugar. Whoops! I let Anna have one after dinner and she said they were delicious. So I delivered them to the neighbor as planned. Preheat oven to 350. I literally toss the above ingredients in my mixer any way I please. 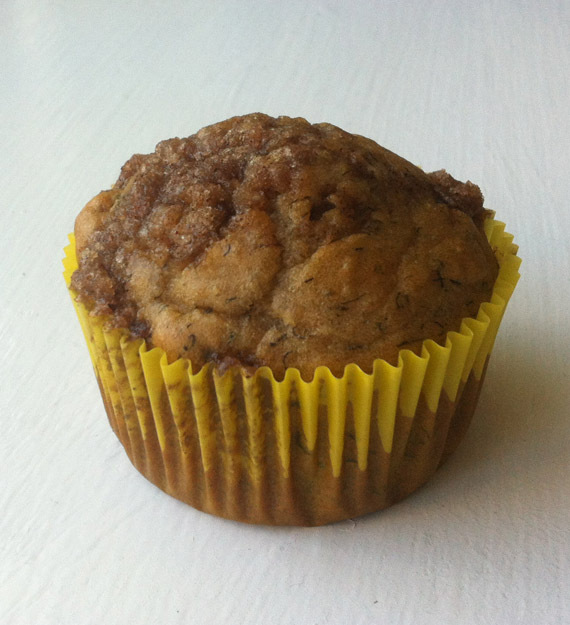 I stick ripe bananas in the freezer so that I always have some when I want to make banana muffins. Recently I figured out if I peel them first I can use them in smoothies too. Today I added the ingredients in the following order: bananas, oil, applesauce, egg, flour, baking powder, baking soda, and salt. Again, I completely left out the sugar and they still taste sweet. I am cutting the sugar from now on. The original recipe called for 1 and 1/2 cups of sugar which seemed like a lot so I never would put that much in I would usually cut it in half or down to a third of that amount. After filling all of the cups with the batter I prepare the streusel. This makes 24 muffins. Melt butter in the microwave for a minute. mix in dry ingredients and sprinkle on top of muffins. Bake for 15-20 minutes. Enjoy! Homemade String Bubbles, they are GIANT! We Are Waiting For Your Contest Entry!! Win A Handmade Dress In The Size Of Your Choice! Is One Of Your Beloved Toys Missing Something?